"Come on Riggin, the Day is Lost"
the night before the battle. On May 12, 1863, the night before the Battle of Raymond, General McPherson’s advanced guards were located at “Magnolia Vale,” six miles from Raymond. The area was known as Fairchild’s Crossing since the Utica-Raymond road connected to the Oakley-Crystal Springs road in front of the Fairchild residence. Today the historic home is owned by Reuben and Sue Lott. In May 1863, as the word spread around Raymond that the dreaded “Yankees” were coming, everyone rallied to support the cause. The spirit of patriotism was exhibited not only by the women of Raymond who were busy knitting socks and making flags for the soldiers, but also by teenage boys who wanted to enter the army but were under the age of enlistment. One of the youngsters determined to do his part was Thomas Riggin, whose family lived two miles from Learned. Riggin traveled to Raymond and joined Hall’s Scouts, a local company comprised of underage boys who volunteered to serve for ninety days. 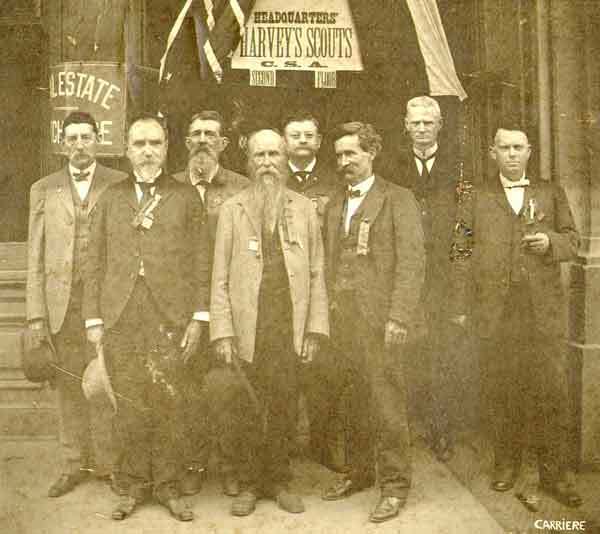 The organizer and commander of Hall’s Scouts was Robert N. Hall, a lawyer from Raymond whose father, Howell Hall, owned the Oak Tree Hotel. Hall, age twenty-two, was a seasoned soldier and a local hero. In 1861, when the war broke out, he joined the Raymond Fencibles, later Co. C. of the 12th Mississippi Infantry, and left for Virginia. He achieved the rank of sergeant but his military career ended suddenly after losing an arm during the Battle of Seven Pines. Many of the soldiers from Raymond were killed at Seven Pines. Others, such as Cade Gillespie, suffered injuries but remained in the war. Unable to continue fighting in the war with his catastrophic injury, Hall was forced to return home. Hall’s Scouts first encountered the enemy on May 9, when they met the advanced guard of General McPherson’s XVII Corps in Utica. Three days later, on the night of May 12, Hall’s Scouts patrolled the Utica-Raymond road looking for signs of the approaching enemy. They discovered that the enemy had set up pickets at Fairchild’s Crossing, approximately five miles east of Raymond. The Confederates set up their pickets four miles out - along a lane now known as Lewis Road. Riggin never forgot the night before the Battle of Raymond and spoke of it on Memorial Day 1909, at the forty-sixth anniversary commemorating the Battle of Raymond: "An opportunity soon presented itself to join the army. R. N. Hall of Raymond who was discharged from the Virginia Army after losing his arm, raised a company of volunteers to serve ninety days, composed of the boys around the country and a few discharged soldiers". "On the night of the 11th, the enemy camped near the Fairchild place about five miles from Raymond. Our camp was in the woods in front of the John McNeil place four miles from Raymond. Their advance picket was the [Oakley and Raymond] crossroad in front of the Fairchild residence. Ours was at the corner of Jim Dennis'; fence at the east end of the lane [Lewis road]. We kept watch, two at the time, two hours on duty. At 2 o'clock on the morning of 12th of May, 1863, Will Osborn and I were relieved by Cal Williams and Jesse Clower. About the time we reached camp, our pickets fired on the enemy who had advanced from their post. Our company of about thirty being aroused by the firing of the pickets, formed a line at the [Selman] school house. Skirmishing soon commenced which led to the heroic battle of Raymond. Map showing the locations of the Union and Confederate camps and pickets. 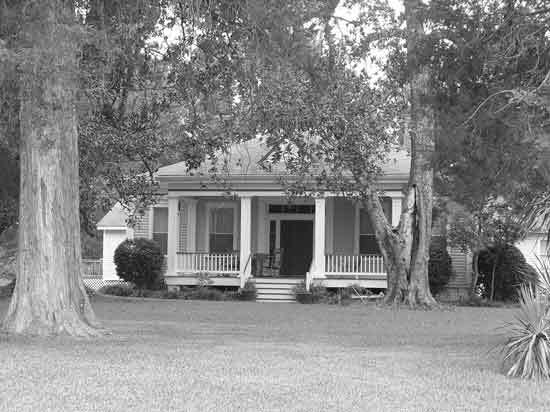 Riggin was later stationed on a hill overlooking the Port Gibson Road to look out for signs of a Union advance from the west. “Our company was carried out on the left flank and Capt. Hall selected me as a special picket to watch the Raymond road, placing me on an elevated spot near the top of the sand hill a few hundred yards from the cemetery, where I had a full view of the Port Gibson road at the Heard Place [located west of the intersection on the Port Gibson and Utica-Raymond road.] I was told to remain there until relieved unless I saw the enemy coming up the road and then I was to report to him. 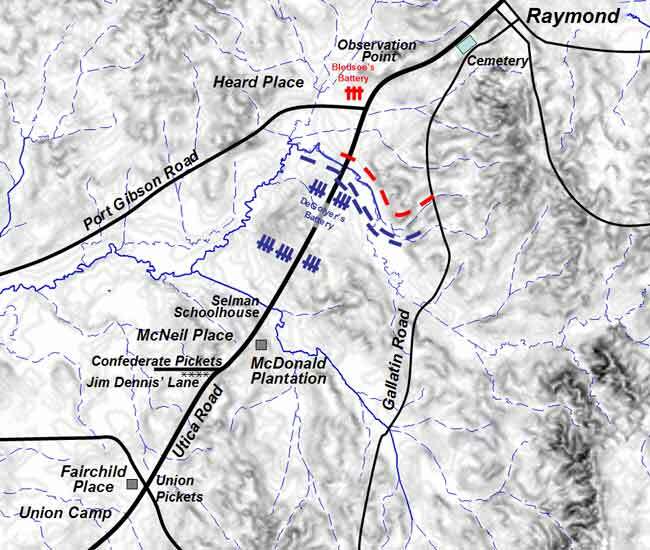 “The batteries of Yankees were placed on the high hill near the McDonald place and opened fire on Raymond. I found myself in a direct line while their batteries and the large oak tree I was under was being torn by the shells. I thought of course, they were shooting at me and I moved a little down where I could see just as well; it was a good thing I did for the large oak was soon torn to pieces by the shells. “This was the most trying time of my life. The battle was raging to my left, only hid from view by the small timber, the roar of musketry and the booming of the cannon, and the groans of the wounded that were being carried to the rear made me feel that none would be left to tell the tale…..I felt that day was lost and that I had been forgotten. I thought of the duty of a soldier. I could not leave my post without orders; took courage by thinking of the boy that stood on the burning deck, when all but him had fled, when to my joy I heard the familiar voice of Capt. Hall saying, ‘Come on Riggin, the day is lost and we will be captured unless we hurry’. Following the Battle of Raymond, Thomas Riggin signed with Harvey’s Scouts and participated in the Meridian Campaign. Afterwards, he returned home to the family farm near Learned where, years later, he was ordained as a deacon in Harmony (Learned) Baptist Church. Riggin passed away on July 28, 1915, and was buried in the Salem Baptist Church Cemetery. He was survived by his wife and seven children. Riggin’s first hand account of Hall’s Scouts and their actions the night before the Battle of Raymond is the only known account of this phase of the battle. Robert Hall, Riggin’s commander, resumed the practice of law and was named a probate judge under Governor Benjamin Humphrey’s administration (1865-1868). He joined the law firm of S. M. Shelton of Vicksburg. In 1867, Robert’s sister, Rosa Hall, married Lt. Charles “Savvy” Read, the Confederate Naval hero whose daring exploits earned him the reputation of being the “Seawolf of the Confederacy.” In a manner of speaking, the Halls could boast of having two Confederate heroes in their family. Later in life, Hall retired from the practice of law and was ordained as a Baptist preacher. The old Confederate veteran spent the final years of his life living and preaching in McComb. Historic source: Letter to the Editor, Hinds County Gazette, 1904; “Battle of Raymond” by T. B. Riggin from the Hinds County Gazette, 1909; and the Obituary of Thomas Benton Riggin from the Hinds County Gazette, 1915. Old newspaper clippings courtesy of Pattie Adams Snowball. Copyright (c) James and Rebecca Drake, 2007-2008. All Rights Reserved.